I cannot believe that it is already this time of the year again! Time to set up my classroom and get everything ready for the new students who have never been to school before! Let's be real. Accidents happen ALL. THE. TIME. in Kindergarten! 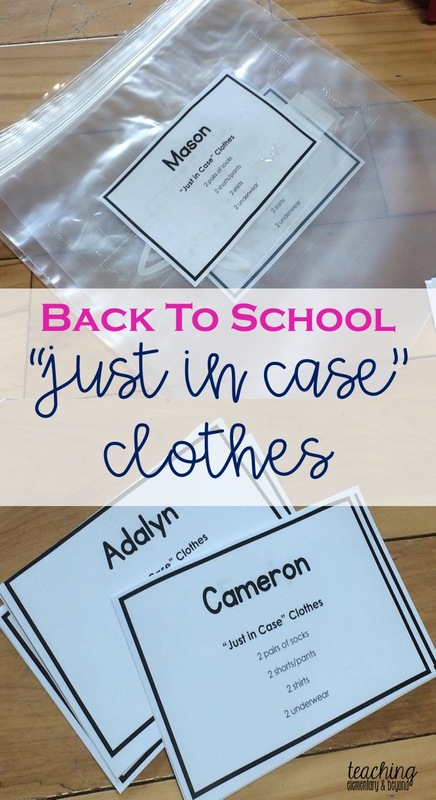 As a result, the very first thing I tackled this year is my "just in case" clothes bag. We keep it in students buckets in our hallway and at night their indoor shoes go on top of the bag. 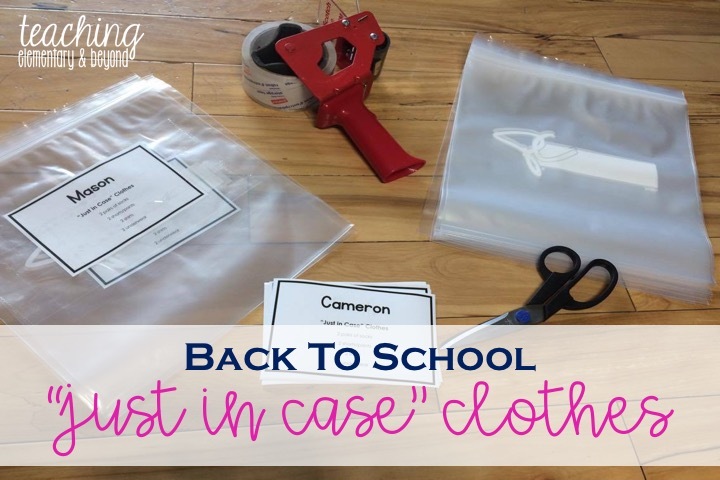 I'll be honest, I like a uniform look so I make the bags up myself and it allows parents to realize that the clothes should fit inside this container. I always ensure that students names are on the bag so that they are easy to identify if they get lost and I like to add a list for what parents can add in the bag. Parents appreciate that they know I've got everything ready for them and I love the organized look! or you can see my blog post about a similar set of mailbag labels by clicking here. Always have a spare change of clothes readily available at your school. You NEVER know if you will ever need them.